Home ShoppingShopping OnlineChristmas Amazon Uses Free Delivery To Lure Christmas Shoppers! Christmas is not far away and there is cheer all around. It is that time of the year when people go on a shopping spree, buying gifts for family and friends. The advent of online shopping changed the way people shop. Most people prefer doing their shopping online now, to be able to save time and money, especially on gas. While some can spend huge amounts of money, others do their Christmas gift shopping on a limited budget. But for every shopper a free delivery sounds attractive. Amazon is the first one to give a Christmas gift to its shoppers. It has come up with a “free delivery” scheme. Shoppers do not have to spend a whole lot of money to be eligible for the free delivery scheme. All they need to do is buy products worth a mere £5, when earlier the limit was £15 with Amazon. What this means is that 90% of the orders end up getting their purchases shipped to them free without incurring packing and postage costs. It was as early as 2002 that Amazon first offered free delivery in the UK but only when a consumer purchased £39 worth of goods. Later it brought down the limit to £19 and then to £15 three years back, in 2005. 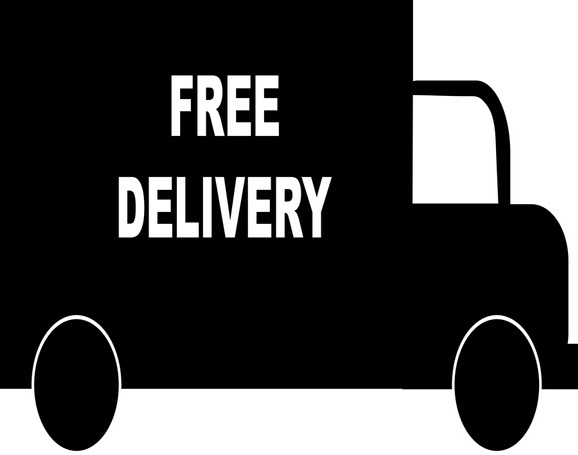 Free delivery is something consumers appreciate and it has the power to make people buy without inhibitions. This could be because people feel that the cost paid towards shipment is money they are not getting anything out of, especially those that buy less priced items. According to consumers, they say that they feel penalized when they have to incur delivery charges on low-cost items. Imagine buying something that is worth £10 and then paying the same or more towards delivery charges. Research shows that a large percentage of customers feel that free delivery is the most important factor they take into consideration before making a decision to buy something. This super saver scheme enables consumers to buy whatever they want and it is going to help them when buying those CDs and DVDs that cost just a little more than £5. Now they will be delivered home free. This is a two-thirds reduction from Amazon’s original £15 threshold. According to Amazon, orders placed using the Super Saver Delivery scheme are generally expected to take anywhere between two and four days later than the same orders that are placed using the first class paid delivery. Other than Amazon, you can also take advantage of several other Christmas promotional offers. You can make searches for “free delivery” and see what you find and compare prices before placing your order. There are many companies that hike up the product rates while giving free delivery of products. You can check out Amazon rival Play.com, which offers free delivery on all orders, even those to many destinations internationally. Zavvi.co.uk is not far behind and offers free delivery on all purchases. Not having to pay delivery charges makes Christmas shopping much more fun for everyone. You are only paying for the item you buy and nothing else. There is no need to get Christmas shopping blues. Just for everyone’s information, the zavvi website is zavvi.co.uk, not zavvi.com.